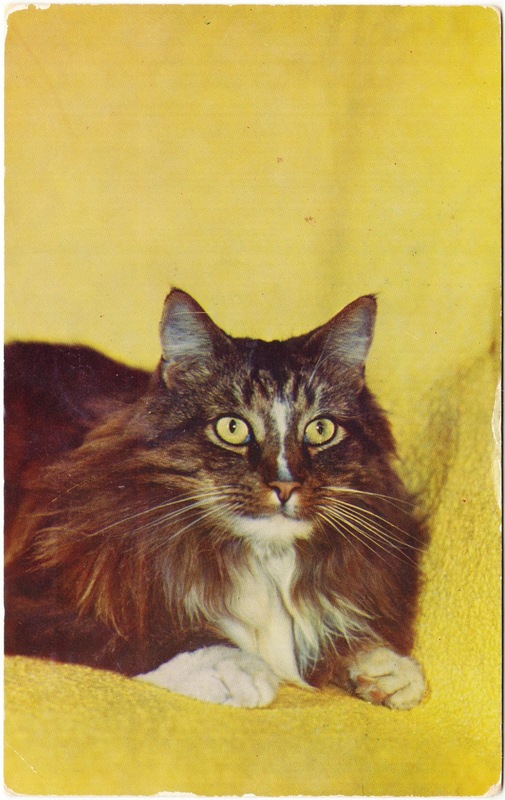 Here's a Natural Color Card from Kodachrome of a serious-looking Persian cat for your Monday evening enjoyment. We brought Danny along & if its [sic] nice we want to take her to the zoo tomorrow. Given the postcard, I want to believe that Danny is a housecat that was going to visit the lions and tigers and other big cats at the Philadelphia Zoo. But Danny is probably a human.